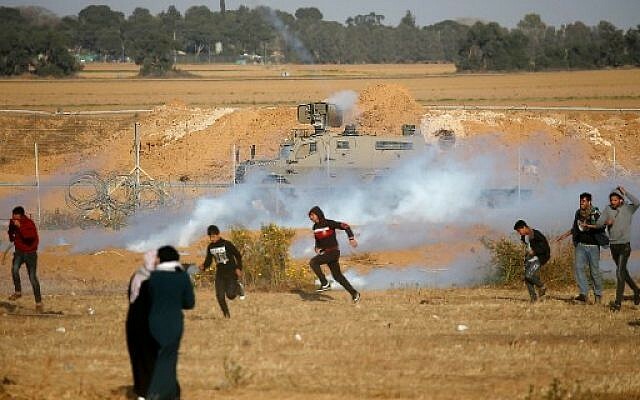 Palestinians said a 15-year-old was shot and killed during weekly protests along the Gaza Strip border on Friday as rioters threw rocks and fire bombs at IDF troops who responded with tear gas and live fire. Some 7,400 Palestinians gathered for the demonstrations at several sites along the border. The Hamas-run Gaza health ministry said the youth, identified as Maysara Abu Shaloof, was hit in the stomach by live fire. It said 66 other Palestinians were wounded; it was not clear how many of them were hit by live fire. The army did not immediately comment on the death, but said that troops had apprehended a Palestinian armed with a gun “near the fence in the northern Gaza Strip.” He was taken for questioning by security services, the IDF said. Numbers at the protest were down from last week, when 10,000 participated, and the week before, the one-year anniversary of the start of the marches, which drew over 40,000. Friday’s protests were the first since the elections in Israel and came weeks after understandings were reportedly reached between Prime Minister Benjamin Netanyahu’s government and Hamas. Egypt, the United Nations and Qatar have recently worked to broker ceasefire understandings between Israel and Hamas, which, if finalized, would provide for an end to violence emanating from the Strip in exchange for the Jewish state easing some of its restrictions on the movement of people and goods into and out of the coastal enclave. Israel says limitations on movement aim to prevent Hamas and other terror groups from transferring into Gaza weapons and materials used to construct tunnels and fortifications. 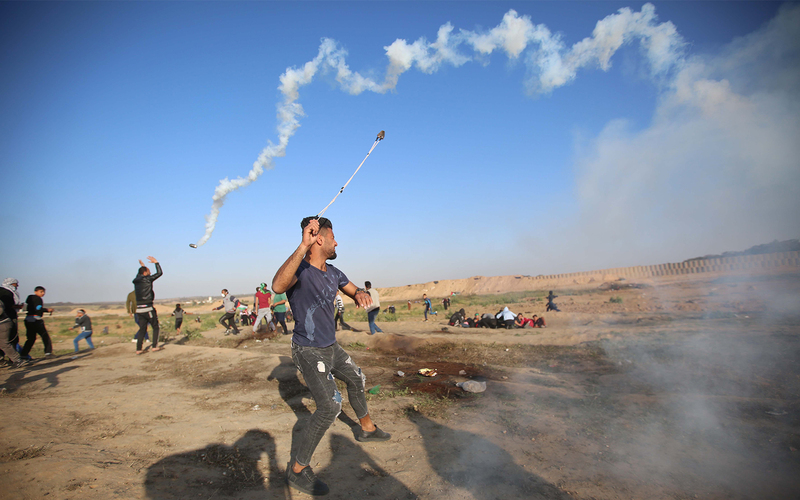 There appeared to be a breakthrough in the ceasefire efforts at the anniversary protests, when Palestinians in Gaza maintained relative calm along the border during large demonstrations. Israel, in turn, reopened its two crossings with Gaza and significantly expanded the permitted fishing area around the coastal enclave. A senior leader of Hamas on Wednesday dismissed the outcome of Israel’s election as irrelevant, as near-final results showed that Netanyahu’s right-wing bloc had won a clear majority in the Knesset vote. “All parties are faces of one coin, the coin of occupation,” said Khalil al-Hayya.